You just really never know what you're going to get from director Alejandro González Iñárritu, which is a blessing and a curse to me because I always like to think of filmmakers as artists who are scratching away at a single theme that is nagging them somehow. For instance, Christopher Nolan and Richard Linklater often play with time and longing. But I just haven't figured out Iñárritu yet, but I suppose I can say that he is fascinated by the human spirit. 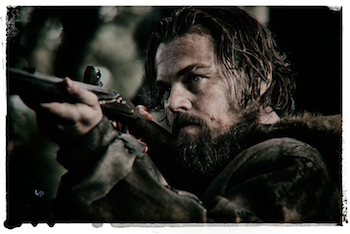 THE REVENANT comes to theaters limited release December 25 and wide in January 2016!